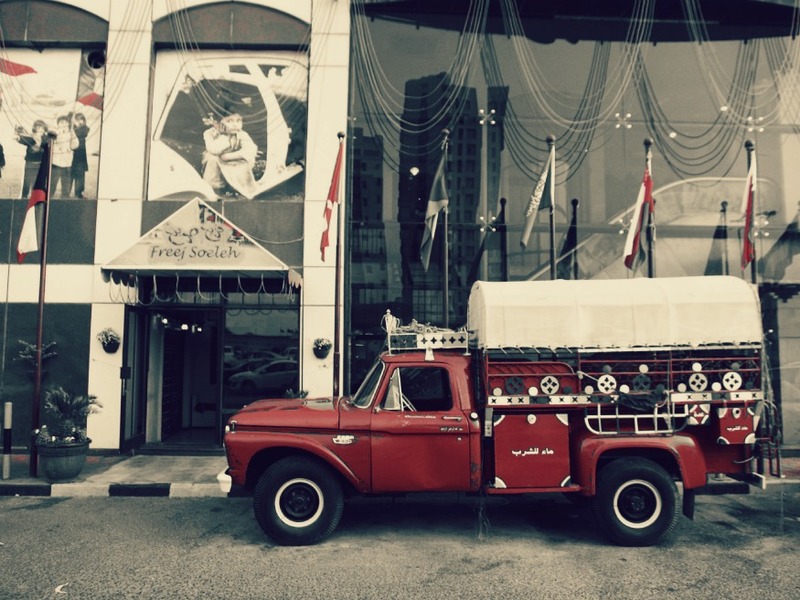 Freej Soeleh, a Kuwaiti food joint in Salmiya - Kuwait, has a 1966 Ford custom cab 350 parked right outside, as part of its overall decor. It's not in the best of conditions though; rust has taken over and the interiors are far from lets say, presentable. Lack of space outside the restaurant has it parked on the road. I like the truck. There's scope to restore it to its former self. Right now though, its sitting there, not getting the kind of recognition it perhaps deserves. And off the topic, i hate the font they've used for the restaurant name. Love their food!